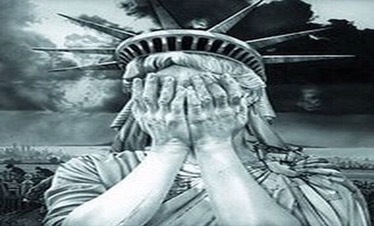 Even lady liberty is frustrated with our country and it’s political system. Maybe she’s simple embarrassed to be seen as the first symbol of freedom and justice for all? Maybe she’s irritated with the two candidates running for president who don’t represent the county she has stood many years for? Maybe she feels like the country she’s come to represent is falling apart? Maybe right now she represents how we all feel? Every parent and grandparent knows the moment when this innocent child begins to be influenced by those around them, and all the things that exist in our own little world. We say and do things in front of the children without even thinking how it sinks into their psyches. It’s just another example of the responsibility we each have. That responsibility begins with our own changed heart, and what we try to understand and make better will be reflected in our own actions. As a grandparent, I ask myself what can I do to leave behind a better world for my grandchildren. I’m reminded of the St. Francis prayer once again. “Let there be peace on earth, and let it begin with me.” In wanting to change the world for the better, than I have to change myself first. I must become the example by the way I live my life. So it means a real examination of conscious. What is it that I need to weed out of my beliefs and thoughts that stands in the way of the better good for all?